Have you ever wanted to kill someone? What would happen if you acted on that impulse and it became an addiction that effected your otherwise normal life? 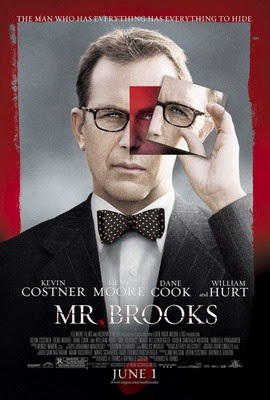 Mr. Brooks examines these issues through the mind and eyes of a loving father and husband who has the rather unusual hobby of killing people. Earl Brooks (Kevin Costner) is a successful businessman, a loving husband, and a devoted father. Mr. Brooks however has a dark side which he hides from the world. Daily he is forced to deal with a schizophrenic personality disorder and an evil alter-ego called Marshall (William Hurt) who only Earl can see and hear. It seems Marshall, and therefore Earl as well, enjoys the thrill of stalking and killing random strangers. This has been going on for many years, and although Earl understands and detests this addiction he can’t seem to stop. Mr. Brooks has three other problems. The first occurs when he is caught in the act by a amateur photographer (Dane Cook) who wants only to blackmail him and tag-along on his next killing. The second is an obsessed millionaire cop (Demi Moore) stuck in a messy divorce who wants to track down the serial killer. And the third is his loving daughter Jane (Danielle Panabaker) who just may be more like her father than he’s willing to admit. In terms of performance and tone the film works quite well, especially if you ignore most of Moore’s subplot. In fact her character isn’t really necessary in the film as Brooks is dealing with his own demons he doesn’t really need someone breathing down his neck (not that Moore’s character gets anywhere near that close). There’s also a subplot about another killer (Matt Schulze) with a grudge which doesn’t go anywhere. 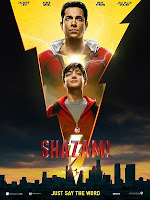 In fact the only reasons for these loosely tied subplots is to show how cleverly writer/director Bruce A. Evans can bring them together at the right moment. Which when you get down to it, really is not such a great reason for including them in the fim. The scenes between Costner and Hurt are the best in the film dealing with who this character really is and, despite understanding how wrong it is, showing how much he both hates and enjoys killing. Added to this is his fear that he has passed on his condition to the next generation; how he deals with these issues leads to some unique and thrilling storytelling. Then Demi Moore shows up and you groan and wait for the director to get back to the good part of the film. Well, at least there are plenty of times to get up and go to the restroom or get more popcorn. There are also a couple of real head-scratching moments including an unnecessary “shock” scene late in the movie which is so disturbing it comes close to being the final straw that ruins the picture. I won’t spoil the ending by telling you about it other than to say I found it ill-conceived. Saddled with a ridiculous subplot the film still succeeds in giving a unique look into the life of a killer. The movie never excuses his killings or apologizes for them, but it also shows the other sides of his personality which are frighteningly normal compared to his “condition.” For me it’s not as good as 2000’s American Psycho, but it is a unique film experience with a compelling storyline and strong performances from most of the lead actors - that’s more than you get from most summer films. A film about pies, all types of wonderful pies with funny names like “Pregnant Miserable Self Pitying Loser Pie,” and “I Can’t Have No Affair Because It’s Wrong & I Don’t Want Earl to Kill Me Pie.” If you haven’t eaten beforehand, and even if you did, this film will make your mouth water. Add to that an off-beat love story, more than a little tragedy (mixed with more than a little humor), two extremely likable stars, and you’ve got a recipe for a film that is well worth your time and might by this year’s Little Miss Sunshine. Adrienne Shelly‘s final film is a tribute to her writing, directing and acting ability, and a bittersweet reminder that this is the last piece of pie on the counter. Savor each bite. Jenna has simple wants, to enter one of her pies in a pie-eating contest, win enough money to get away from Earl, and start her life anew, perhaps opening her own diner. 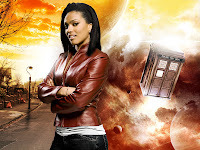 Her two best friends are as luckless in love as Jenna. Becky (Cheryl Hines) is married to a much older man who isn’t all there, and Dawn (Adrienne Shelly) can’t seem to find anybody to love except an annoying little man who is determined to wear her down with his spontaneous poetry (Eddie Jemison). Aside from a couple slow moments the film works well from beginning to end. I especially enjoyed the dark humor aspect of Jenna’s letters to her unborn baby and director Adrienne Shelly’s willingness to allow the character to have serious doubts and fears about raising a child. Since her return from a brief hiatus Keri Russell has done mostly small supporting roles, but here (as fans of Felicity will remember) she shines in the lead role. It’s a great performance that’s both sad and sweet, humorous and droll, much like the film. And Fillion works well as the neurotic doctor. With great comic timing and some nice on-screen chemistry with Russell he shows he can hold his own carrying a romantic comedy. I’d much rather see him in roles like this than last year’s Slither. Before I end the review I must mention the performance of Andy Griffith as the grumpy owner of the diner where Jenna works. It’s a joy to see him back on screen. 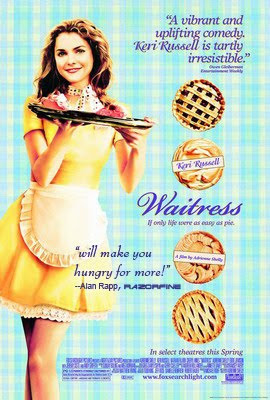 He provides some of the most humorous moments of the film, and there’s a scene where he describes Jenna’s pies to her that is simply magic on screen. Evading the dreaded Imperial Starfleet a group of freedom fighters led by Luke Skywalker has established a new secret base on the remote ice world of Hoth. The rebels, after their huge victory at Yavin, are once again on the run. It seems the Emperor is a little miffed about them blowing up the Death Star and has put all the forces of the Imperial Navy in Vader’s hands to hunt down Luke Skywalker (Mark Hamill). On Hoth Luke recieves a vision of Obi-Wan Kenobi (Alec Guinness) who tells him to go to the Degobah system and learn from the legendary Jedi Master Yoda (Frank Oz). On arriving Luke discovers an odd little creature who turns out to be Yoda and agrees, reluctantly, to instruct Luke on the ways of the Force. Elsewhere in the galaxy Darth Vader (David Prowse/James Earl Jones) relentlessly pursues the Millenium Falcon through space, an asteroid feild, and to a mining colony owned by an old friend of Han’s, Lando Calrissian (Billy Dee Williams). Han (Harrison Ford) is captured and frozen in carbonite (but not before giving one of the greatest lines in movie romance history!) and turned over to the bounty hunter Boba Fett, and Leia (Carrie Fisher) and Chewbacca (Peter Mayhew) are taken prisoner by the Empire and used as bait to lure Luke to a similar fate as his smuggler friend. Sensing trouble in the Force Luke abandons his training prematurely and travels to Cloud City to rescue his friends and confront Darth Vader. Vader gives him a lesson in lightsaber fighting as the two battle through levels of the facility ending with Luke pulling back a bloody stump and Darth Vader revealing the truth about the fate of Anakin Skywalker. There aren’t enough words to describe how much I love this film. From Luke’s training on Degobah, to Han and Leia’s stolen moments on the Falcon, to C-3P0 (Anthony Daniels) getting blasted and R2-D2 (Kenny Baker) getting eaten, to the first appearance of the Emperor, to Han Solo’s gruesome fate, to a great ligtsaber battle, to the revelation and realization of Darth Vader’s true face. This is terrific storytelling and a wonderful ride that hits all the right emotional buttons along the way. With Star Wars (read the review) and then Empire George Lucas had carved out the center, and heart, of what would become six films. Though none of the other four would reach the same level of excellence, these two films would make sure you came back again, and again, for more. The film begins, after a bizarre introduction about singing coins and eight pieces of nine (don’t ask) which is never satisfactorily explained, with Will (Orlando Bloom), Elizabeth (Keira Knightley), and Captain Barbossa (Geoffrey Rush) in Singapore. Their visit has two purposes. The first is to gain the maps and ship necessary to travel to Davy Jone’s Locker and rescue Captain Jack Sparrow (Johnny Depp). The second involves a poorly thought out, and even worse explained, plotline about a meeting of pirate lords, mysterious artifacts, and a goddess which Barbossa wants to use to fight back against Norrington’s (Jack Davenport) control of the seas. After making a deal with Captain Sao Fang (Chow Yun-Fat) the group sails to rescue Jack (who doesn’t make his first appearance until more than 20 minutes into the film) who is lost in a bizarre land where he is haunted by mirror images of himself and stones which turn into crabs. After the group is reunited all hell breaks loose as every character in the film double-crosses everyone else for their own agendas for the remaining two hours of the film. First, let me say that the look of the film is amazing, particularly the scenes involving the travel to World’s End. And once again the series provides some memorable action scenes. And the film moves quite well with many entertaining moments, aside from the slow opening that’s so plot heavy you will wonder if you missed a film that came between Dead Man’s Chest and this one. The other main positive point for the film is after the alternative universe of the last film which had everyone acting out of character to move plot points along, each of the main characters, especially Jack, starts acting normal (well, as normal as Jack Sparrow can act). And the character of Davy Jones (Bill Nighy) is finally fleshed-out a little, a film too late but better than never. The film is far from perfect however as large amounts of characters and plot all collide. I’ll give the film credit for at least trying to tell a story this time, but there’s just too much going on for one film, and none of - particularly the storyline involving Naomie Harris‘s character, was thought out or executed as well as it should have been. The film is the trainwreck I expected it to be, but it does surprise with some genuine fun moments, more than a little headscratching, and overall entertaining time. I won’t go quite far enough to recommend the film, but I certainly won’t tell you to stay away. And if you do jump aboard make sure you stay through the credits for an extra bonus scene worth seeing. It begins with a captured princess, a villain in black, a young farmboy with dreams for the stars, a hot-shot pilot and his furry companion, a mysterious old man, and two droids. It ends with a huge space battle, heroic moments, and a ceremony celebrating what our eyes can hardly believe we just witnessed. This is Star Wars. Princess Leia (Carrie Fisher) is captured by the Dark Lord of the Sith Darth Vader (David Prowse/James Earl Jones) in an attempt to find an old ally of her father’s to aid her in the Rebellion against the Galactic Empire. Instead she entrusts the information to a small astromech droid R2-D2 (Kenny Baker) and his constantly complaining companion C-3P0 (Anthony Daniels). Escaping to the planet below the two are captured by odd scavengers called Jawas and eventually sold to a farm. There they meet young Luke Skywalker (Mark Hamill), and later through him find the man Leia was searching for - a former Jedi Knight known as Obi-Wan Kenobi (Alec Guinness). With the help of one of the galaxy’s most notorious smuggler’s Han Solo (Harrison Ford) and his Wookie companion Chewbacca (Peter Mayhew), Luke, Obi-Wan, and the droids escape the desert planet of Tatooine only to find themselves captured on the largest military space station ever built - The Death Star. From there the group saves the princess, plays in some garbage, shoots up the Death Star hallways, and makes their escape leading to a space battle between the rag-tag Rebellion fleet and the mighty force of the Empire. From the opening scrawl to the end credits, George Lucas manages to create something truly memorable and completely unique on film. Think about how many filmmakers you can say that about. Creating a mythology of a mysterious force, an evil empire, a princess, and perhaps the greatest movie villain of all-time, Lucas creates something magical that fans of all ages can enjoy. For two-hours he captures pure wonder on screen. This is a film that will amaze you and also touch you deeply. 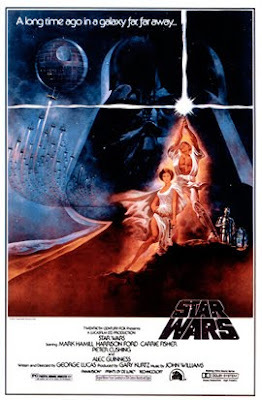 There’s so much here to enjoy, from the opening shot of the Star Destroyer and the introduction of Lord Vader, to John Williams famous score, to the interplay between Han and Chewie and C-3P0 and R2-D2, to the might of the Death Star, the the mystery of the Force, and the famous scene of the twin suns setting on Tatooine. This is epic cinema at its best and a film for the ages. This film created the summer blockbuster we all know (and sometimes enjoy). It spawned two sequels, three prequels, a host of merchandising, and more than a few pretenders trying to cash in on a big budget Star Wars-type film. Thirty years later, the film remains one of the greatest cinema experiences ever created. Thank you George, for the dream of Star Wars realised so perfectly on screen, and for making me a dreamer. Let me preface this by saying my review will be tainted by the experience of seeing Star Wars Episode III: Revenge of the Sith in a sold out opening midnight show at Kansas City’s newest (and, in my opinion, finest theater). 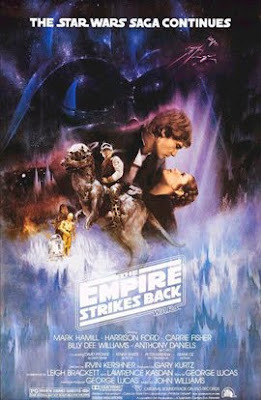 In my experience this is how movies like this should always be viewed; in packed theaters full of die hard fans hoping that George Lucas can capture magic in a bottle one last time before the curtain falls on this series. So, does he succeed? Read on dear viewer, and find out! George Lucas’ much loved franchise has taken some hard criticism over the past few years with his “improvements” to Star Wars, The Empire Strikes Back, and Return of the Jedi. Add to that a less than rousing support for the first two movies in the prequel trilogy, The Phantom Menace and Attack of the Clones, and you honestly had to wonder whether Lucas could deliver on this, the final Star Wars movie (at least for now). We needn’t have worried. Aside from a couple painful scenes between Padme (Natalie Portman) and Anakin (Hayden Christensen) awkwardly expressing their love in rather stilted dialogue (which are both mercifully short) the movie is hugely entertaining and is easily the best of the “prequels.” In fact I would go so far to rank it as good, or perhaps even slightly better than Jedi. Not that much of a stretch when you realize many elments of the film were origionally intended for Episode VI (the volcano planet, the Wookie battle, and of course obviously, the title Revenge). The plot in a nutshell is this, Chancellor Palpatine (Ian McDiarmid) has seized greater power while behind the scenes orchestrating events to his design. The Jedi are scattered throuhout the galaxy in waging Palpatine’s war, allowing Palpatine to easily tempt Anakin Skywalker to turn to the Dark Side of the Force. I won’t go into detail of how this is accopmplished, but I will compliment Lucas on his subtlity in this story telling, something which he nevers seems to get any recognition for. Eventually the Jedi catch onto Palpatine’s motives, but too late for them and for young Anakin, who has little choice but to throw his lot in with the would be Emperor. Chaos insues as all Jedi are declared enemies of the Republic and Palpatine declares himself Emperor of the Galaxy. What amazed me about Revenge is how much story is actually told, but yet how naturally it unfolds. One of the complaints about the last two films is the storytelling was rather stilted, much more so than the first three films. 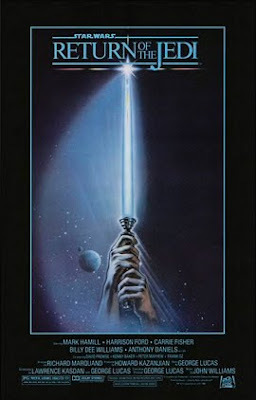 Whether it was because Lucas felt more free in telling the last part of the story, or that he simply had more time to think up exactly how Anakin became Darth Vader, or simply that Lucas decided to tell the story the way he wanted and not try to please the increasingly disatisfied fanbase, whatever the reason, the movie simply moves better than his last two efforts. Because the pace is better and the story is more interesting (face it folks, this is the movie we’ve been waiting for since ‘83) and the cast has been together longer, the actors, with only a couple of small exceptions come off very well. Obi-One (Ewan McGregor) hasn’t been this good since, well, his death scene. McGregor has grown more comfortable in this role with each film, and I wonder what he could do with the character if given more time. Mace Windu (Samuel L. Jackson) is finally given some more weight and depth, with interesting consequences. Count Dooku (Christopher Lee) wonderfully chews up scenary in reprising his role from Episode II. Jimmy Smits gives a noteworthy understated performance as Bail Organa. And Yoda? Good in the movie he is. This review wouldn’t be complete without mentioning four characters. The first two are R2-D2 (Kenny Baker) and C-3PO (Anthony Daniels), both of whom are wonderful. In fact R2 nearly steals the movie with the great performance in the opening battle sequence. Daniels isn’t given as large a role, but just having 3PO in gold plating whinning incesantly brings a few good chuckles. Alas Padme (Natalie Portman) fairs far worse. Although she’s used mainly as a plot device (in both turning Anakin towards the Dark Side, and in bearing his children) she’s given so little to do she often seems bored. Whether her failure is that of the script or her inability to do anything with it is open to interpretation. The great surprise here is Hayden Christensen who seems to finally embraced the character and made him his own. There are several moments in the film that he has to balance mulitple emotions. The movie relies greatly on his performance and he does not disappoint. Much improved from his performance in Clones. And two, by individual moments that stand out long after the movie’s final credits have rolled. 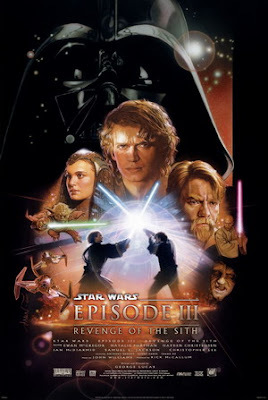 This movie has several: the afore-mentioned R2-D2 sequence, the fatherly talks between Palpatine and Anakin where he skillfully and subtly pushes a wedge between Anakin and the Jedi Council, the suddeness of the turn in battle and the fall of the Jedi (nope, won’t say more than that), the climatic battle between Obi-One and Anakin, and of course the birth of Darth Vader. All are wonderous, entertaining, humorous, and sad in their own way. I also should mention with these the final shot of the movie, which beckons so successfully back to the roots of Star Wars that the pangs of nostalgia are almost palpable on one’s tongue. It’s a loving moment, and a fitting one to end this life’s love that Lucas has had for the franchise that has been so good to him. A final note about the screening. I saw several people dressed for the occassion in semi-Jedi garb. By this I mean they had Jedi robes but tennis shoes or shorts or jeans. Frankly I don’t care if you dress up or not (although I’d prefer if you did you don’t stand near me in line) but if you do, at least go to the effort of going all out. To this I give a shout out to the guy dressed in a very accurate Admiral Piett costume and the guy in the full Stormtrooper armor (who I still laughed at, but hey, what can you expect?). To you guys in the bathrobes though, please do the rest of us a favor and imaple yourselves on your $20 lightsabers. Stupid, you look. Thank you, and May the Force be with you, always. 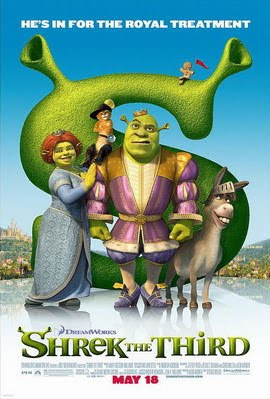 After King Harold (John Cleese) falls ill and dies, the kingdom falls to Shrek (Mike Meyers) who wants nothing to do with ruling and only wants to take Fiona (Cameron Diaz) back to the swamp and live in peace and quiet, which will be difficult considering Fiona’s got her own baby surprise for our hero. For Shrek to turn down the crown he must find another heir, and so with Donkey (Eddie Murphy) and Puss in Boots (Antonio Banderas) he sets off to find the only other living heir, a young boy known as Artie Pendragon (Justin Timberlake). With the King dead and Shrek gone Prince Charming (Rupert Everett) rounds up all the villains in the kingdom, attacks the castle, and proclaims himself the new king. Fiona, her mother (Julie Andrews), and the damsels in distress, Snow White (Amy Poehler), Rapunzel (Maya Rudolph), Sleeping Beauty (Cheri Oteri), and Cinderella (Amy Sedaris), must band together, forget about being rescued, and save the kingdom themselves. Although the film has many memorable moments (including Captain Hook and a piano showing up for a fight, and the Gingerbread Man’s Six Million Dollar Man flashback) it lacks the wit and sting of the previous films. Most of the film’s humor, especially early on, is the average “big dumb ogre can’t do anything right” variety that gets old pretty fast. When the film moves away from these easy jokes the story picks up. The story does have a good moral, though there are several slow points in the film where young children (and even a few movie critics) may loose interest. Still the tale of the young geek and Shrek’s impending fatherhood are good storylines that are worth caring about, even if they aren’t quite as enganging as they could be. Many times you go into a film with certain expectations and are let down; however, once in awhile you get the reverse. I had little hope for Georgia Rule which I expected to be nothing more than your average chick flick. Imagine my shock when I found a surprisingly intelligent film with strong performances from all three of the its leading actresses. Rachel (Linday Lohan) is driving everyone nuts. Unable to control her daughter, Lily (Felicity Huffman) ships her off to her grandmother, Georgia (Jane Fonda) in a small Iowa town, hoping some of the sternness, which rubbed her wrong in her own childhood, might work for Rachel. Her arrival instantly effects the sleepy town and her rebellious nature chafes under the strict control of her grandmother, the animosity of the local girls (Christine Lakin, Chelse Swain, Mandy Medlin), the interest of a young Morman (Garrett Hedlund) and the fatherly advice of an old friend of her mother (Dermot Mulroney). Forced into situations she can’t control, events and secrets begin to spill out of Rachel, but is the wild child known as a compulsive liar finally telling the truth, or is this all part of some game? Without giving away too many of the surprises of the film, I’ll say this: it’s a heavy discussion and look at some serious issues far beyond the simple look of the trailer. It’s got weight and substance and doesn’t flinch at looking as some very unseemly matters. At the same time the film is also a celebration of life, family, and moving forward and gaining control fo your life. There’s also quite a bit of humor, both comical and sad throughout the film. No more is this present than with Huffman who balances the shock, humor, disappointment and anger of a woman who can’t control herself, much less her daughter. Though the performances of Huffman and Fonda help sell the film, the story is centered around Lohan, and she makes good. Here she shows acting talent, range, and a fair comic touch (I know, I’m as surprised as anyone!). Maybe I won’t have to avoid her films if she finds parts like this that suit her and good directors, like Garry Marshall (Pretty Woman, The Princess Diaries), to get this level of performance out of her. With this following her nice turn in last year’s Bobby she might just turn out to be a good actress after all. Once the revelations begin, you will know where the film is heading, but the inclusion of several subplots and the question of Rachel’s truthfulness allow you to wonder and sit back and enjoy the ride. With strong performances and a compelling story it’s a real drama, in the the guise of a chick flick, that guys will be able to enjoy, and a nice spring surprise before the summer blockbusters start cramming all the theaters. The Ex? Well, at least we know the same amount of time and energy that went in to making this turkey was also used to come up with the title. “The Waste” or “The Crap” or “The Disappointment” would all have been (slightly more) appropriate titles as well. Tom Reilly (Zach Braff) is a nice guy who’s just never been able to hold down a stable job. Now that his wife Sofia (Amanda Peet) has just delivered their first child Tom decides to leave New York and take Sofia’s father (Charles Grodin) up on his offer to work at his ad agency in Ohio. Once there Tom is put under the supervision of the firm’s best, the wheelchair bound Chip Sanders (Jason Bateman), your classic charming movie bad guy who nobody but our protagonist can see through. Chip once dated Sofia and wants her back and has a mutual dislike for Tom. That’s the basic set-up, after the baby birthing scene (which seems straight of of an episode of Scrubs), and so twenty-minutes in you know the characters and the basic plot. You also know everything which will happen for the next 80-plus minutes. There are no surprises here. We get the obligatory jokes of Chip setting Tom up for all types of punishment and Tom’s overreactions leading to scenes making him come off as the bad guy. If the film had been a little funnier it might have skated by with bare-minimum cookie-cutter effort, but there’s nothing here other than a waste of some good comedic actors, millions of dollars of the studio’s money, and a couple hours of my life. There are a few laughs, but nothing memorable and nothing more than you’d give a slight chuckle to on your average episode of According to Jim. The oddball office environment has been done better on most sitcoms, and the supporting characters like Amy Poehler are completely wasted as nothing more than background dressing. And I just feel incredibly sad for Jason Bateman. With the cancellation of Arrested Development he’s taken one wrong turn after another (see Smokin’ Aces). His career is going right back in the toilet; he’s turning into nothing more than an older version of Jerry O’Connell. The Ex, just like Braff’s last project The Last Kiss is a real disappointment. I hope someday he’ll get back to making his own movies like Garden State or at the very least use better taste than the proects he’s been making lately. The Ex is a lowgrade television movie that telegraphs all the plot and jokes well before the first commercial break. A mixed blessing. That’s how I would refer to Spider-Man 3. Sure, we get the alien symbiote, the Sandman, Gwen Stacy, a wedding proposal, a new Goblin, and Venom, but we get them all at once and all on top of each other. 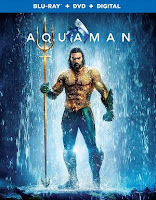 The film would have been better served if the creators had been a little more selective and told a more in-depth, concise, and fleshed-out story, rather than rushing through a half-dozen tales all at once. As the film opens Peter Parker’s (Tobey Maguire) life is golden. He’s got a good job at the Daily Bugle, Mary Jane (Kirsten Dunst) is acting on stage, the city has fallen in love with Spider-Man, and he has decided to ask MJ to marry him. Well, as you can expect, things don’t remain rosy for long. First there’s relationship trouble Peter isn’t paying attention to. Second, Peter’s best bud Harry Osborne (James Franco) has been taking his dead dad’s (Willem Dafoe) super Goblin formula and has decided to finally take his revenge. There’s also the recent jail-break of a prisoner named Flint Marko (Thomas Haden Church) who is important to Peter for two reasons. First, because of a freak accident while escaping from the cops, he runs into a live scientific staging area causing his molecular structure to be changed to sand, thus making him freakishly powerful. Second, as Peter learns from the police, he’s the man who actually shot Uncle Ben (Clifford Robertson) that fateful night. There’s also Eddie Brock (Topher Grace), a new rival photographer at the Daily Planet, who is interested in Peter’s college lab partner Gwen Stacy (Bryce Dallas Howard) who has a little crush on both Peter and Spider-Man. And add to all of that a mysterious symbiote lifeform that lands to Earth and bonds to Peter increasing his aggression and ego to Mel Gibson-sized standards. Whew! Did you get all that? Did I mention the movie is “only” 140 minutes long? Even at that length it is impossible to explore all the aspects of each storyline. In fact there is so much going on a storyline will be lost for 20 minutes or more before it comes back around again. At times I forgot the Sandman was a part of the film. There’s just too much jammed in here, in what was originally planned to be the final chapter of the Spidey franchise. 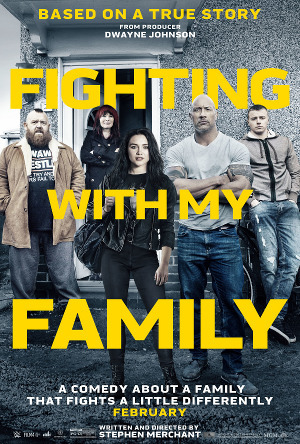 Though it does wrap up many storylines it does so only by rushing through each in a breakneck manner that leaves the overall storyline disjointed and uneven, and may leave you a little shell-shocked. Just how much story is jammed into the film? I’m so glad you asked, you’re such a smart reader; have I told you that lately? Well, I got through all that and didn’t mention J. Jonah Jameson’s (J.K. Simmons) humorous health problems, Dr. Curt Conners (Dylan Baker) experimenting on the sybiote, Bruce Campbell‘s new role, Peter’s conversations with Aunt May (Rosemay Harris), the amnesia plot arc (don’t ask), the flashbacks, Captain Stacy (James Cromwell), Marko’s daughter (Perla Haney Jardine) and wife (Theresa Russell), the Jazz Club, and much, much more. The film’s overambitious plot isn’t the only problem. It seems that Sam Raimi and Ivan Raimi, who co-wrote the screenplay with Alvin Sargent, never watched Tim Burton‘s Batman. You guys are great, but you aren’t better writers than Stan Lee and Bob Kane, so please stop ruining what they’ve done by trying to make it better. 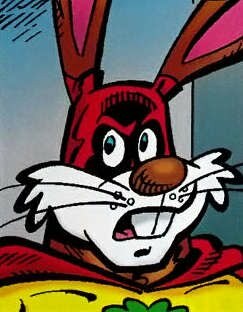 Here they make the same mistake of re-imaginging the hero’s origin to make a super-villain responsible for everything. That’s a mistake, and it’s a big one - especially given how much the first two films harped on Peter’s inaction with the robber and his responsibility with his new powers. Well, guess what? It wasn’t really your fault Peter, somebody else shot your Uncle Ben. You’re off the hook, thanks anyway. I’m also not a big fan of multiple super-villains - here the film has three: the Sandman, Venom, and the new Goblin all of who have to have origin stories rushed through so you can get to the good stuff. If Eddie Brock had been introduced in the last movie it would have helped, and you could have foreshadowed a real resentment to Peter rather than just a competitiveness. Or, if the symbiote was introduced here and dealt with in detail leaving Venom for the next film that too would have been an improvement to force-fitting it all in one flick. Then there’s the character of Gwen Stacy, and despite Howard’s resemblance to the character there’s almost no reason for her inclusion in the film. Kirsten Dunst should have had the role in the first flick, and yes she should have died on the Brooklyn Bridge letting MJ get introduced in the next film. 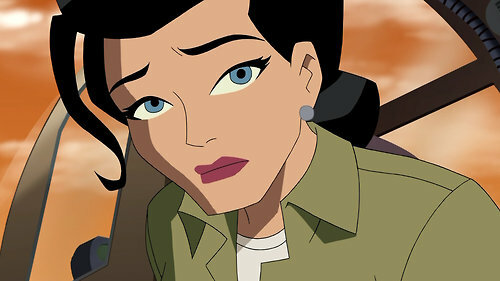 Bringing her in after MJ and Peter are almost engaged doesn’t serve a purpose other than to throw one more Spidey character into the film. 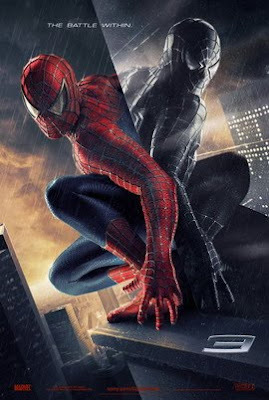 Geek Moment: I hate the look of the movie’s version of Spidey’s black costume! I know it’s the petty comic geek in me, but if you want to do it - do it right! Venom’s look is only slightly better as he resembles the live-action version of Spawn if someone colored over him with a cheap black marker. Well, now we know why they weren’t letting us see him in the trailers. I guess special effects haven’t come that far in ten years after all. Even with all these issues there’s quite a bit to enjoy (with as much jam-packed into the film as there is, there would have to be). The special effects and action sequences are quite good, and the look of the Sandman is perfect. And, if it tries too hard, it still gets the feel, the spirit of Spider-Man, right. The film’s continues to focus both on Peter’s maturation and his relationships with the world. He makes mistakes, as do the people around him, and they all grow. This film in particular also examines the gray area between good and evil, and how one’s perspective can be colored by emotion and the lack, or understanding, of the full facts. The costume subplot also allows the film to play Peter as a darker character which gives you some surprisingly good moments (his fights with Eddie and Harry) and some groan-worthy over-the-top ones as well (the leers on the street). 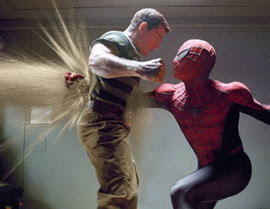 Although the film still manages to pull out an entertaining film despite it’s many issues, it’s the weakest of all three films, which is sad considering how good Spider-Man 2 turned out to be (I don’t think it’s coincidence that it was the most concise storyline of all three films). For a summer popcorn flick you’ll get your bang for your buck, some frills, some chills and some fun, but maybe not quite as much as you were hoping for. Oh, and a final note, don’t get up as the “ending” starts to wrap up. We’ve got another Peter Jackson epilogue upon epilogue situation happening here. Here’s one situation I’d like to see changed; when you get to the end, end the movie! One page epilogues work great in comics, in movies they look like you were trying to use up the rest of your film stock.